These are some of the takeaways of ‘Fintech Universe through the Eyes of Media and Social Networks,’ a report prepared by BBVA Research data scientists by applying Big Data techniques to information from the media (GDELT) and social networks (Twitter) from 2015 to 2018. Specifically, the report uses natural language processing and sentiment analysis techniques to determine the intensity and the “sentiment of the dialogue” when it comes to fintech in the mass and social media. The authors also identify the main trends, topics, events and technologies associated with the finTech phenomenon. “We also use these data sources to identify countries, organizations and firms that play an important role in the fintech universe,” explain the authors. Based on the analyzed data, the term has become increasingly prevalent in the past three years, and is inching closer to the level of media coverage of the traditional financial system. Fintech and finance media coverage over time 2015-2018. 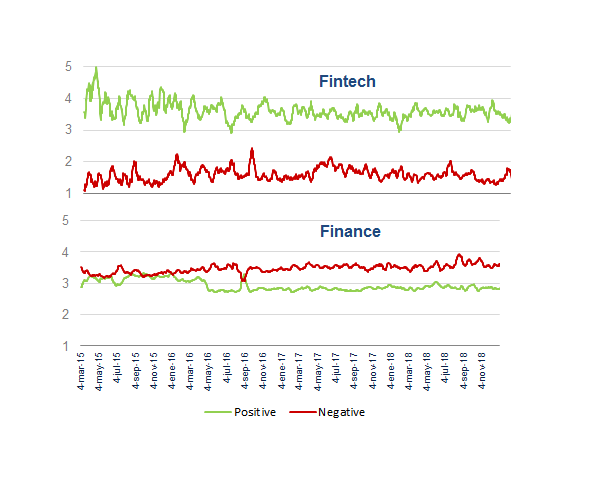 Fintech and finance media sentiment over time 2015-2018. Proportion of positive and negative words in the media over time. 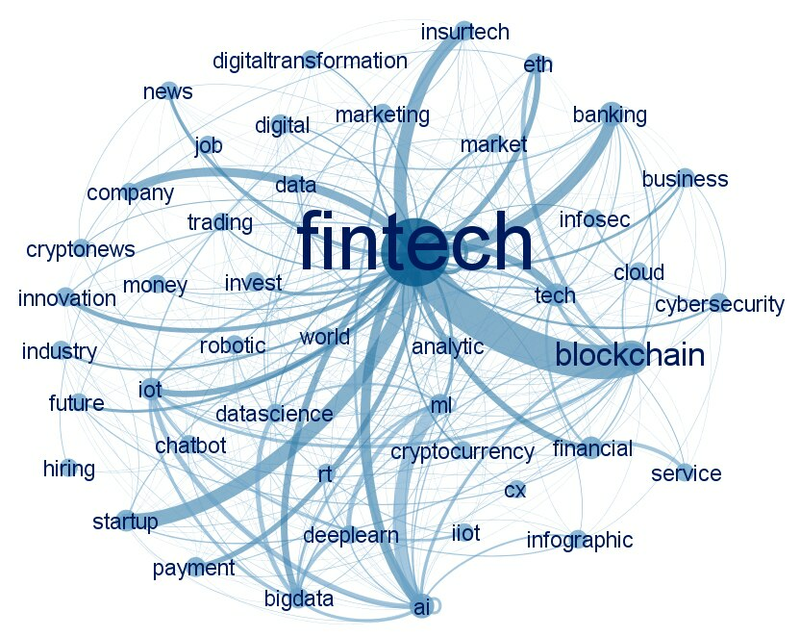 Also, on a closer look, the term fintech is often linked to topics such as innovation, science, information and communication technologies, research or labor market that, in general, “have positive connotation,” while finance is associated with the traditional core parties of the financial system such as Central banks, institutions, capital markets, stock markets, which are a key part of the economy, and “which might trigger stronger and more tainted opinions,” say the authors. Most related topics with FinTech and finance in the media in 2018. Considering Twitter data in the analyses, the report concludes that a similar positive trend emerges for fintech. But also, the analysis of this data source shows that Twitter reacts faster and more intensely to certain news and vice versa. For example, data show a peak in the media and in Twitter in mid April 2018, coinciding with the Facebook–Cambridge Analytica scandal; or in November 2018, following IMF president Christine Lagarde’s optimistic statements about the possibility that central banks may issue cryptocurrencies in the future. Which countries are talking more about fintech? Generally speaking, media coverage of fintech related news has increased across the world since 2015. The U.S., Singapore and Hong Kong are the countries where the debate has intensified more. Media coverage has also increased significantly in some Eastern European Countries such as Hungary and Estonia. 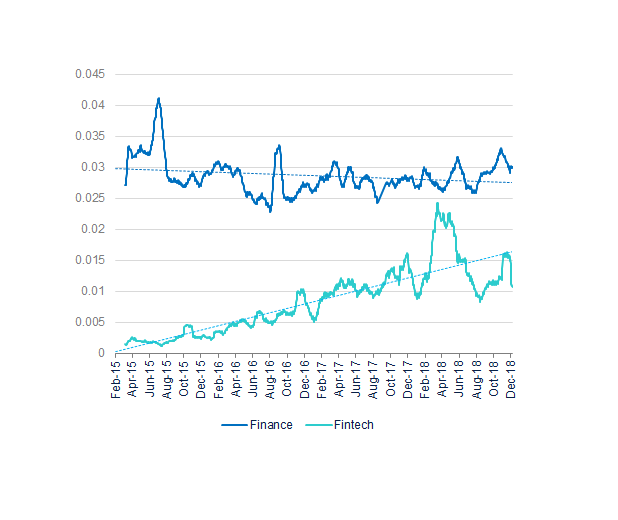 In contrast, the media coverage of fintech has remained virtually stable in Algeria, Israel and Nepal. In the case of Israel, where the fintech ecosystem has great traction, the dialogue was already very active before 2015 (and had begun much earlier than in other countries), and its growth has stabilized in the last two years. Media coverage of fintech-related news has substantially increased for South American countries as of 2018. A “plausible explanation” for this might be the high number of venture capital deals secured by South American companies in 2018. In Spain, data show that it was in mid-2016 when media coverage of fintech started increasing notably. In parallel to this increased coverage, a quite heterogeneous fintech ecosystem has spawned in Spain, and established institutions have remained very active in this field, announcing noteworthy collaboration and investment initiatives, like those made by BBVA globally. 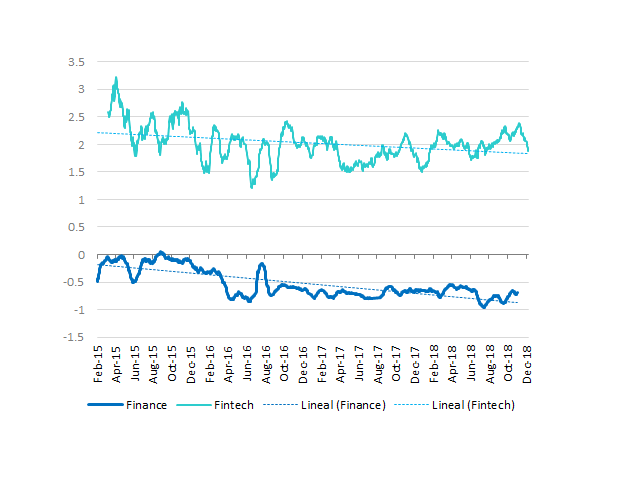 Also, in 2018 media coverage surrounding fintech solutions grew substantially, following the entry into force of the new European payments service directive (PSD2), establishing a harmonized framework for the competition between traditional institutions and new entrants, mainly in the field of digital payments. What do we talk about when we talk about fintech? Analyzing the topics on which the fintech-related dialogue focuses, the report concludes that they are quite varied, and not exclusively technological or financial. 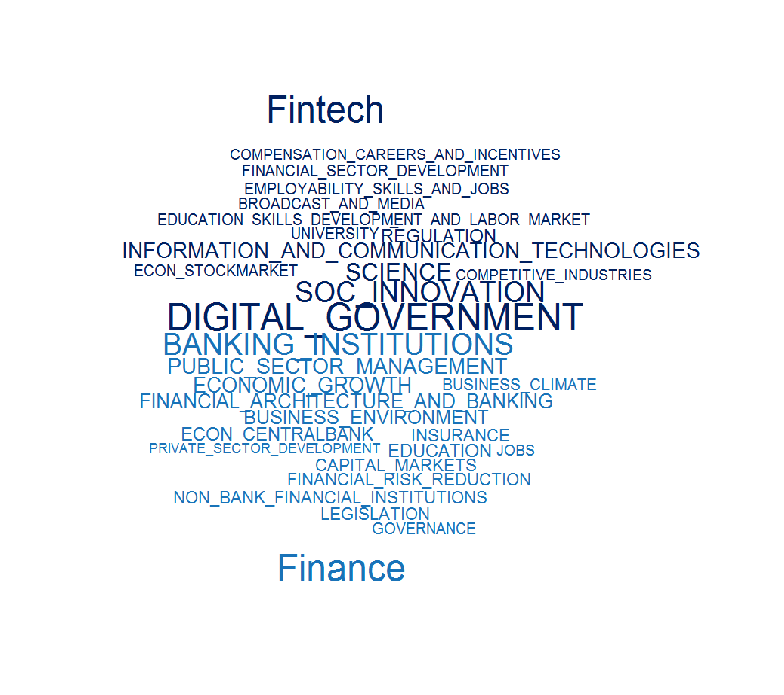 Surprisingly, the debates address many other social themes: from employment and new skills, to gender and the environment, a broad variety of terms appear in the media in connection to the “fintech” term. Most outstanding FinTech-related topics in the media. Analyzing Twitter conversations in 2018 (in English language), the report found that the most commented topic by far was blockchain, one of the most potentially disruptive technologies of the segment. This points out the great interest among the general public in distributed ledger technologies (DLT). Other prominent topics in 2018 included artificial intelligence, the Internet of Things, big data, machine learning and data science, which were among the year’s most recurrent hashtags. On the other hand, the most frequent terms in tweets have been more business-oriented. Some examples are: Financial, Banking, Payments, Business, Startups, Innovation and Regulation. 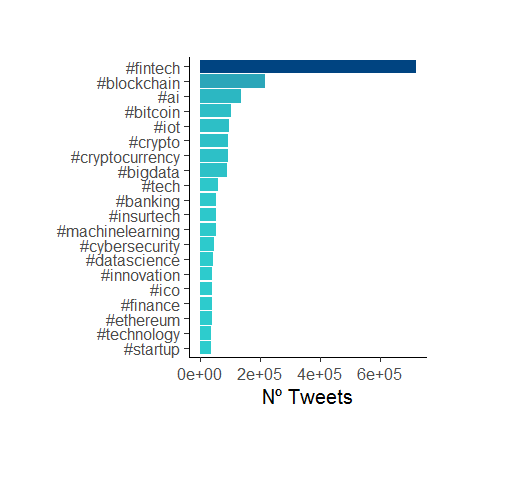 Most used hashtags in the fintech universe in Twitter during 2018 (in English). Also, besides FinTech, a growing range of acronyms are appearing that, according to the report symbolize interconnected networks of various actors that combine to create innovative solutions for different markets Some of these are InsurTech (Technology applied to insurance), HealthTech (Technology & health), MarTech (marketing & Technology) or RegTech (regulation and Technology). By geographies, the areas with more Twitter activity related to FinTech have been Europe (especially London), Singapore and India. As for the links between terms, the report, again, notes that “fintech activity is dominated by the blockchain technology.” Also, the report underscores that the weaker links among blockchain and terms such as ‘cryptocurrency’ evidence that the interest in the technology has already grown beyond the boundaries of virtual currencies. Relation between pairs of words (the nodes size represents the connectivity of each term and the edges size represents the frequency of joint appearance). Who is who in the fintech ecosystem? Authorities and governments such as the U.S. government (the most present) or institutions such as Central Banks, the European Union, the U.S. Federal Reserve, or the Monetary Authority of Singapore. Bigtechs such as Google, Facebook, Twitter and Microsoft, which are starting to venture into financial services, especially in the field of payment solutions. Traditional technology companies such as IBM, Oracle and Accenture. A mixed group of institutions from different sectors, such as Thomson Reuters, specialized in providing information and ancillary services to financial firms. Most outstanding fintech-related firms and organizations in the media. The Fintech phenomenon is “disrupting and transforming banking”, bringing about new challenges and opportunities that will ultimately result in the democratization of finance. In this context, the analysis the information surfacing online and in the media in real time has become a “valuable asset to get timely information to understand the new global shape of the financial sector,” concludes the report. More than 2 billion adults are excluded from the formal financial system, according to the Universal Financial Access 2020 report by the World Bank. The challenge is to ensure that by 2020 adults around the world will have access to a checking account or an electronic service to save their money and send and receive payments. This goal is behind the boom in financial inclusion strategies, which are increasingly making use of technology and the services provided by the so-called technological finance (fintech).